The beauty of buying organic products is that you know exactly what's in it and where the ingredients came from. Organic products not only ensure the quality of the ingredients, they also guarantee the process used to develop these products is environmentally and ethically friendly. Finding the best organic shampoo doesn't have to take hours. We've put together a list of our favorite organic shampoos so you can discover your new favorite hair care product. What Makes a Shampoo Organic? Buying organic shampoos enables you to control what you put on your body while keeping the health of the environment at the forefront. Unfortunately, there is no industry standard when it comes to labeling products. Words like natural and organic are tossed around and not backed up by evidence. In the world of natural products, this is known as 'greenwashing'. Luckily, there are still a few things you can look at to find out if a product is organic or natural. The USDA offers a certified organic label that ensures the products use at least 95 percent organic ingredients. Other companies such as the Environmental Working Group work tirelessly to inform the public of what's in their products. 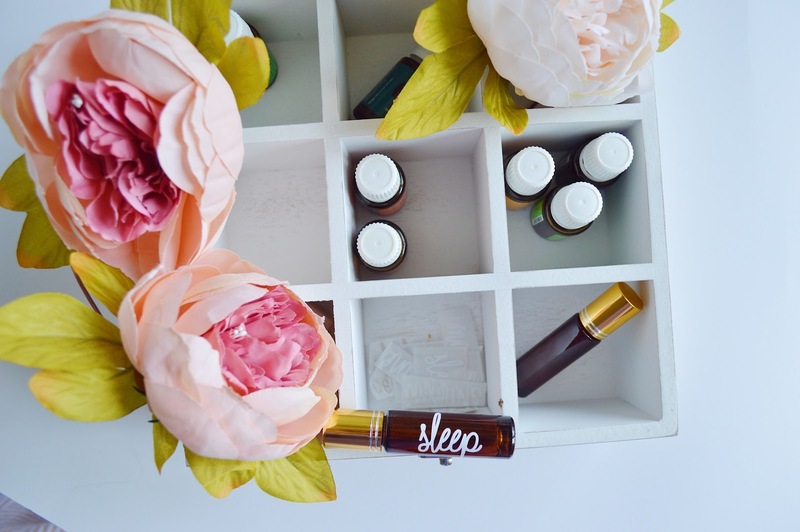 They feature an EWG verified label that ensures a company is completely transparent, uses good manufacturing ethics, and doesn't use any toxic of harmful chemicals. Our list of the best organic shampoos features products that are certified or verified by the USDA or EWG. These products use natural ingredients to make your hair healthy and shiny. You can rest assured that by using these shampoos, you're protecting your health and caring for the environment. There's a reason Rahua's classic shampoo tops the list of products beloved by nature-conscious hair care professionals. The daily shampoo helps build strong, healthy hair using nourishing ingredients such as rahua oil, organic aloe vera, green tea, and raspberry leaves. The formula replaces harmful chemicals with coconut betaines that help to remove dirt and bacteria from hair strands. The company uses rahua oil, which is derived from a tree nut, to fortify its moisturizing shampoo. The rahua oil is extracted from wild forests and prepared by members of the local community. This oil is perfect for damaged hair, dry hair, or frizzy hair and can prevent breakage. Intelligent Nutrients has developed one of the best organic shampoos for color-treated hair. The formula is sulfate-free so it won't strip natural oils from the hair follicle. You can find this shampoo on the company's website or on amazon.com. This hair shampoo is certified organic by the USDA and features ingredients such as brown algae and quinoa. These natural ingredients offer a protective barrier that prevents color loss caused by environmental factors including UV rays. The hair shampoo uses gentle cleansers to remove product build up and excess oil without removing hair color. 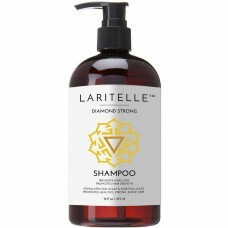 Laritelle Diamond Strong shampoo is made with USDA certified jojoba oil and argan oil to promote hair growth. The formula is packed with essential oils including rosemary oil to help prevent hair loss. The addition of lemongrass, ginger essential oil, and cedarwood essential oil add a luxurious scent and natural cleansing properties. This natural shampoo is made with 75 percent certified organic ingredients and 25 percent wildcrafted or naturally derived ingredients. The hair care product is packaged in BPA-free recyclable plastic containers. Each product is hand poured and proudly made in California. 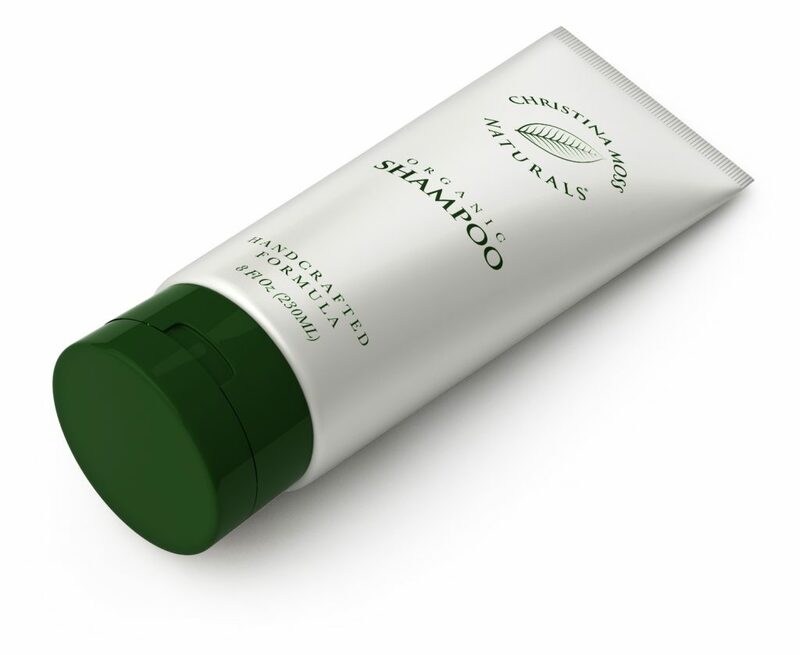 This organic shampoo is specially formulated for hair loss. 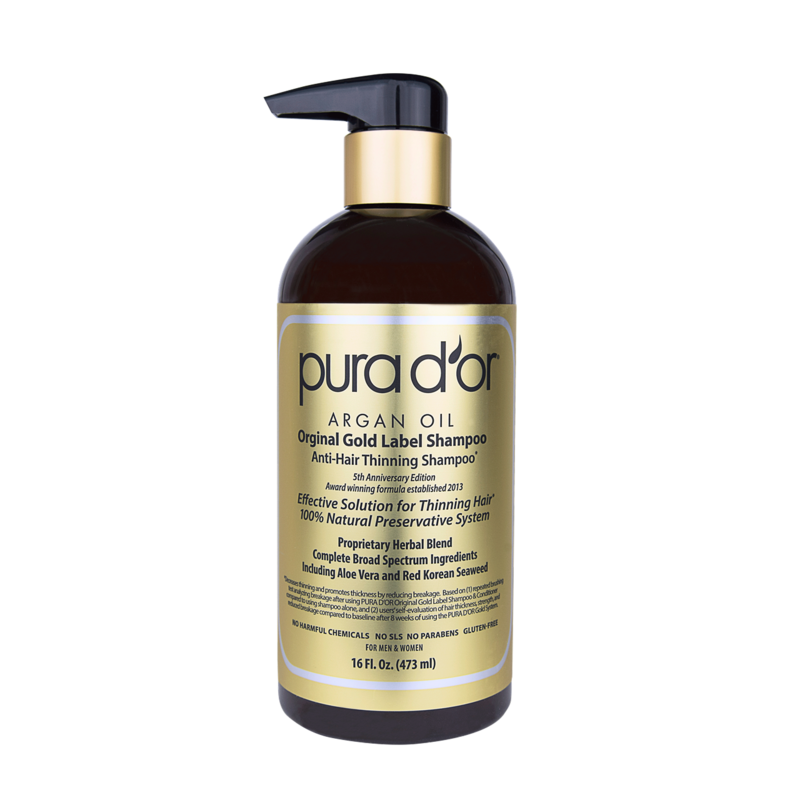 The formula is USDA-certified organic and is free from parabens, sulfates, and harmful chemicals. This hair loss shampoo features 15 broad-spectrum DHT blockers to prevent hair loss. These ingredients include pumpkin seed, nettle, biotin, and black cumin seed oil. DHT is a hormone that has been linked to male pattern baldness. DHT prevents the hair follicles from absorbing nutrients, which causes the hair strands to shrivel and fall out. By blocking DHT, this hair shampoo helps to promote growth and reduce hair fall-out. This sulfate-free shampoo is gentle enough for all hair types and can be used by people with sensitive skin. The shampoo helps soothe hair conditions such as dandruff, folliculitis, and eczema. The shampoo uses plant-based glucosides to create a rich lather and remove dirt from hair strands. Other ingredients include coconut oil and shea butter, which nourish hair and replenish moisture. The shampoo is non-toxic and comes in a recyclable plastic bottle. 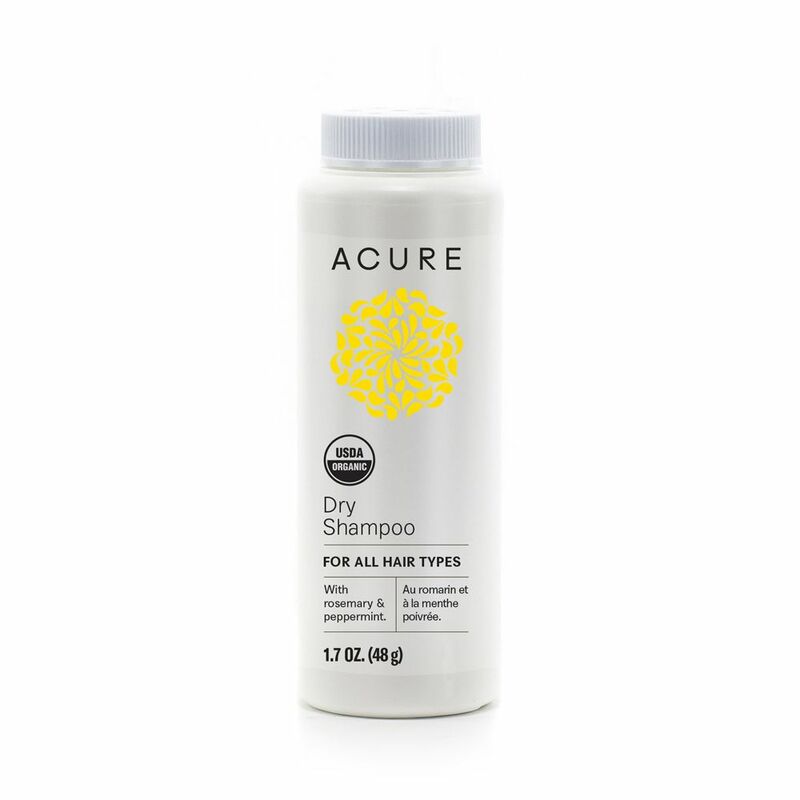 Acure's dry shampoo formula is suitable for all hair types and fortified with rosemary and peppermint. The fast-acting shampoo absorbs excess oil and removes build-up without having to get hair wet. This hair product is 100 percent vegan and free from sulfate, mineral oil, and petroleum-based ingredients. Nature's Brands shampoos are made from 100 percent natural and organic ingredients that are certified by the USDA. The products are cruelty-free and safe for use by vegans and vegetarians. They don't contain SLS, synthetic chemicals, preservatives, or dyes. Their shampoos can be used on all hair types. The company also offers a wide range of scents to suit your preferences. Options like lavender and calendula help induce relaxation while sweet orange and cranberry stimulate the senses. Their shampoo made with green tea and peppermint is particularly useful for people who enjoy a fresh, tingling feeling when washing hair. 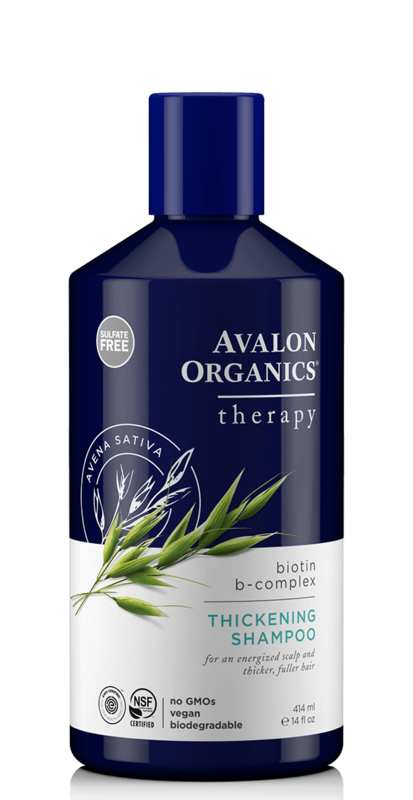 This shampoo from Avalon Organics blends biotin saw palmetto, vitamin E, and quinoa protein to help build thicker hair. These organic ingredients stimulate the scalp to promote hair growth while cleansing and nourishing the hair shaft. 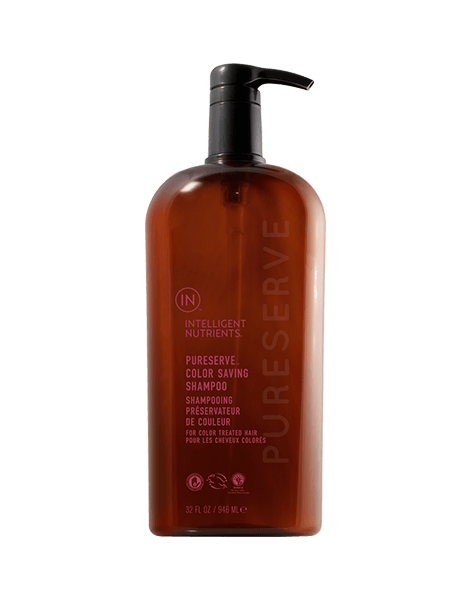 This pH balanced shampoo is certified by the Environmental Working Group and doesn’t' contain sulfates, GMOs, synthetic fragrances, or parabens. This shampoo is best for fine hair and people of all hair types who experience thinning hair or hair loss. Lovefresh made waves with their tea tree oil shampoo that revitalized hair with a fresh feeling. They've put a new spin on things with their rosemary spearmint shampoo. The spearmint offers the same fresh, tingly feeling of tea tree with a sharper fragrance. The rosemary oils work to promote hair growth so your hair looks its best. This natural shampoo is suited for all hair types including oily hair and curly hair. It's 100 percent natural, organic, gluten free, and vegan friendly. 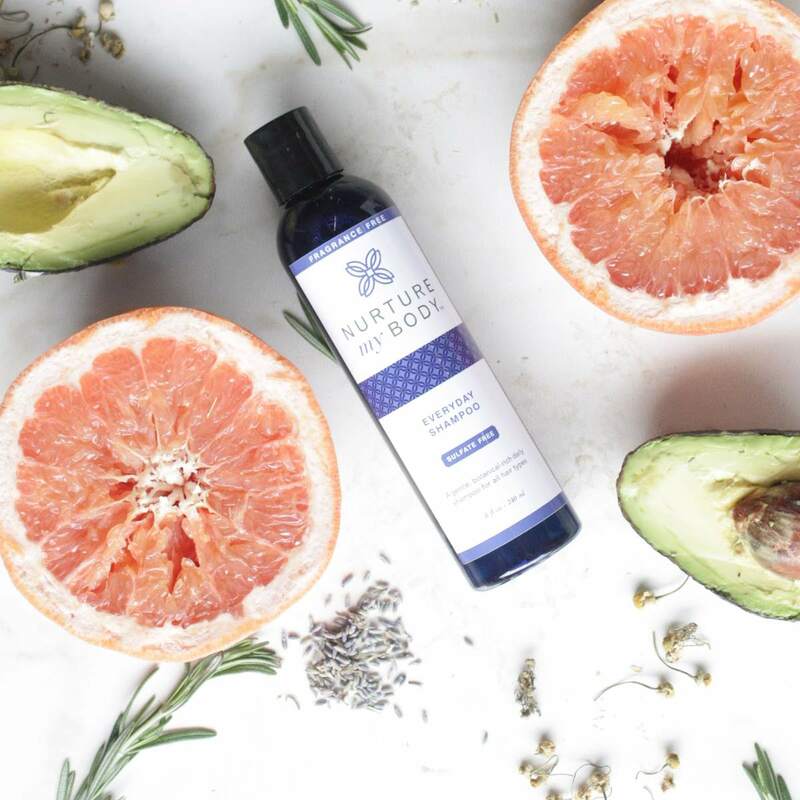 The natural product is also safe for waterways and septic, making this biodegradable shampoo the perfect choice for environmentally-conscious consumers. This sulfate-free shampoo boasts 18 certified organic ingredients and is perfect for all hair types. The Everyday Shampoo is made in the USA and never tested on animals. The formula contains sea buckthorn to promote hair growth and essential oils such as sweet orange oil, lavender essential oil, and grapefruit extract. These oils are packed with amino acids that promote hair strength and prevent breakage. The gentle formula can also double as a body wash.
Finding organic shampoos can be hard in an industry rife with greenwashing. With this handy list, you'll be able to find certified organic shampoos that suit your hair type and your hair needs. Finding the perfect shampoo can take some time. Be patient and try a few different formulas to find what's right for you. Whichever organic shampoo you end up using, you can breathe easy knowing the ingredients are all natural and good for the environment.